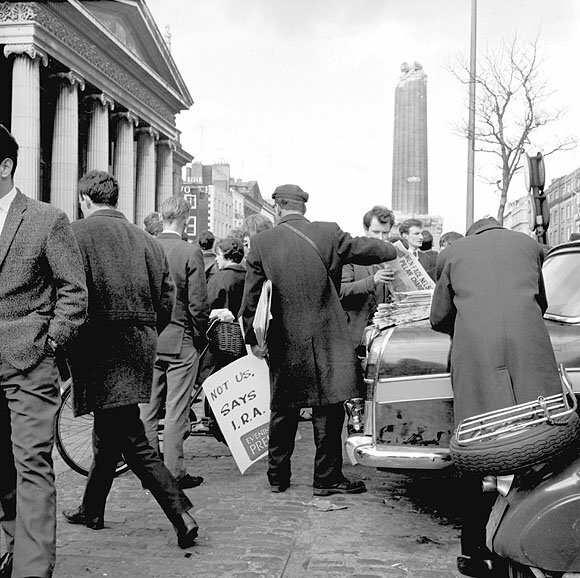 Public Meeting: New Perspectives on Republicanism in the 1960s. | Come Here To Me! Public Meeting: New Perspectives on Republicanism in the 1960s. An upcoming public meeting next Tuesday (June 26, 7:30pm) was brought to my attention, entitled ‘New Perspectives on Republicanism in the 1960s’. It takes place in the Pearse Centre at 27 Pearse Street. The building is instantly recognisable by its fantastic restored front appearance, and the name ‘Pearse and Sons’ is found over what was once the business premises of the father of Patrick and William Pearse. Brian Hanley (Historian, author of The IRA, 1926-1936, The IRA – a Documentary History, and co-author of The Lost Revolution) will be joined by Matt Treacy (Historian, author of The IRA 1956-69: Rethinking the Republic) for what should be an interesting night. If you want to know what’s goin’ on in Dublin ya have to Come Here To Me. Any chance there’ll be a write up on it? I guess it’s unlikely it was recorded given the nature of the topic?